You can not deny the importance of physical exercise to lead a healthy life. Try doing this exercise to stregthen your body muscles. This exercise puts your biceps in a weaker position. This may also improve your biceps but the main target of this exercise are your lats. 1. 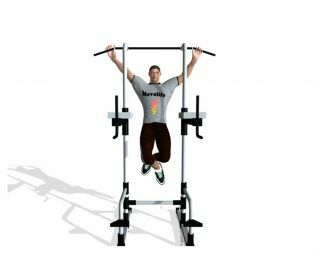 Pull ups is a more difficult version of the exercise because the biceps are minimized. 2. The only difference with the two is that here, start off by hanging on the bar with your palms facing away from you (overhand). Then just pull your body up and down slowly.